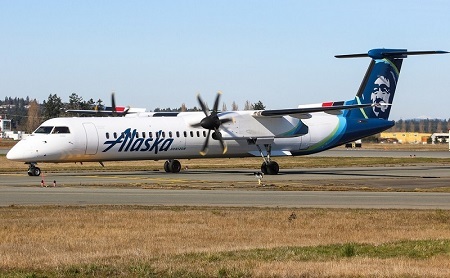 The Alaska Horizon DHC-8-Q400 was stolen by a ground-service agent from Seattle-Tacoma (SeaTac) International Airport (SEA, KSEA), WA, USA. The aircraft was scheduled for routine maintenance and not supposed to fly on any passenger flight. 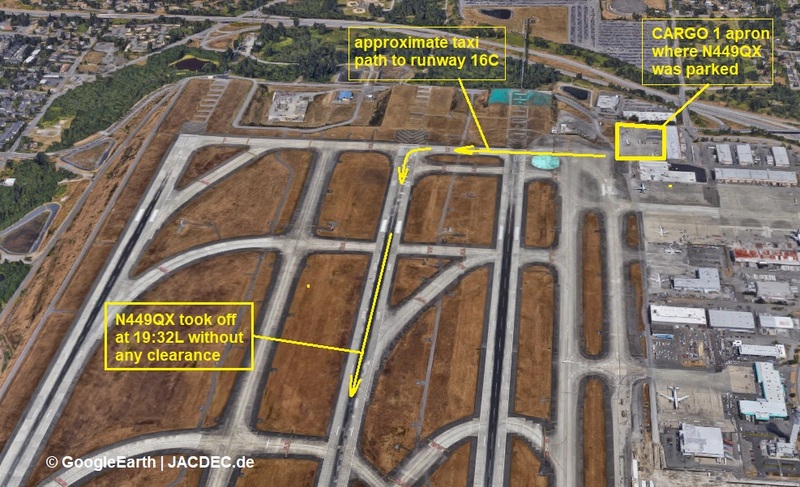 At 19:32L the aircraft taxied and took off from runway 16C(center) without clearance. It began to proceed on a southerly heading in the vicinity of Mount Rainier. From there the flight proceeded westbound toward the Puget Sound. All the time the man in the control was in contact with air traffic control (ATC). At this time a pair of F-15 fighter jets scrambled from Portland, OR and pursued the aircraft. However, according to a report by the airline, they did have any involvement in the accident. Ground observers saw it performed a full barrel roll, losing altitude quickly but recovered close to the ground. 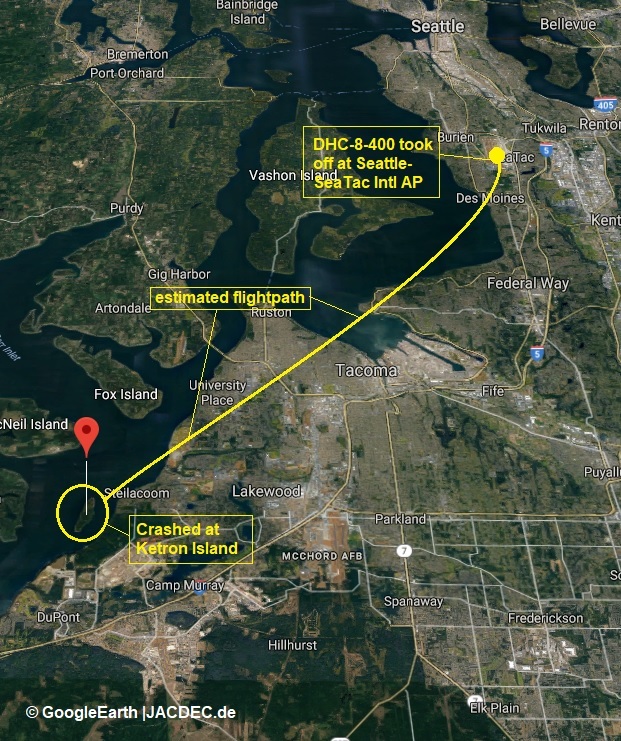 It was about 20:47L, approximately an hour after take-off when the aircraft crashed into the wooded southern tip of Ketron Island, about 40 km to the southwest of SeaTac Airport, exploding on impact. A forest fire ensued which was extinguished the following day. The single occupant did not survive. 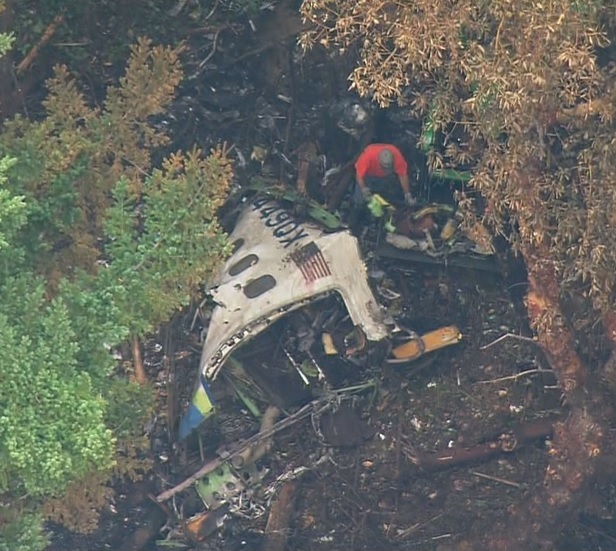 The individual on board the aircraft was identified 29-year-old Richard Russel, a ramp agent employed by Horizon Air in Feb. 2015. He was granted access clearance to the airside and to all aircraft as part of his job responsibilities. Before entering the aircraft on CARGO1 ramp (to the very north of SeaTac Airport), it is understood he was using a pushback tractor to turn the aircraft around heading west before he started the engines and began to roll. This accident marks Alaska Horizon’s first fatal accident in its 37-year history. 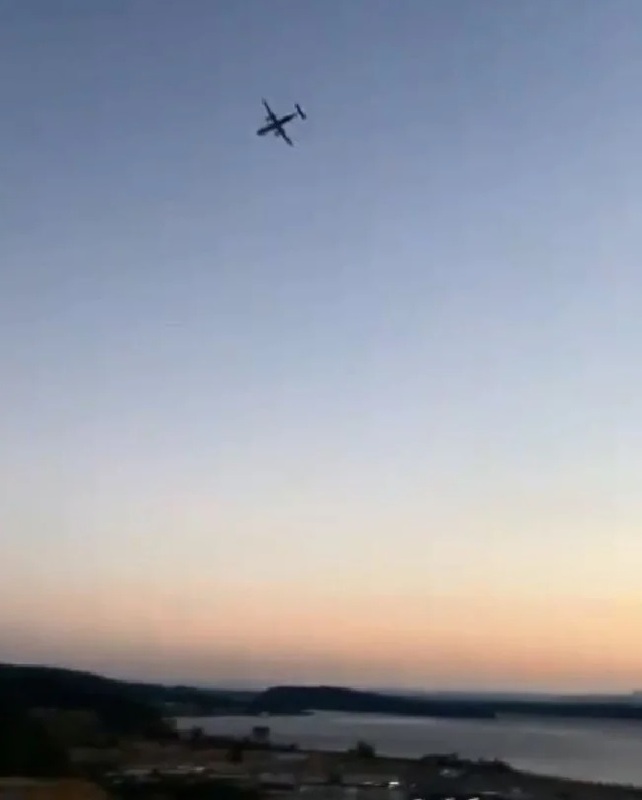 The US Federal Bureau of Investigation (FBI) is leading the inquiry into how the Horizon Air ground service agent—apparently with no flying experience—was able to take control of a Dash 8 aircraft, taxi, performed a successful take-off and fly for more than an hour before crashing. 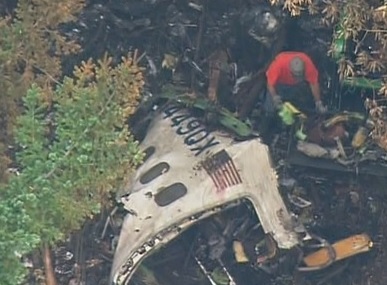 On 2018-08-2 NTSB and FBI, experts were able to locate and recover both the fight data recorder (DFDR) and the cockpit voice recorder (CVR) from the wreckage. Excerpts from this conversation between pilots who witnessed the take-off and the tower air traffic controller. No timestamp was given. Some relevant excerpts out of a 25 min audio between Russel and Seattle radar controller (ATC) recording by Broadcastify. Again no timestamp was given. Russel: „Hey is there a pilot on? I wonder what this weather gonna be like in the Olympics (mountains)? There were no further transmissions between Russel and air traffic control on the audio tape.